The wood of the Palo Santo tree has been used by Shamans in South America for centuries. Related to the frankincense family, this oil is slightly pungent yet sweet at the same time. Some believe Palo Santo’s high vibration and cleansing qualities are as effective as sage. 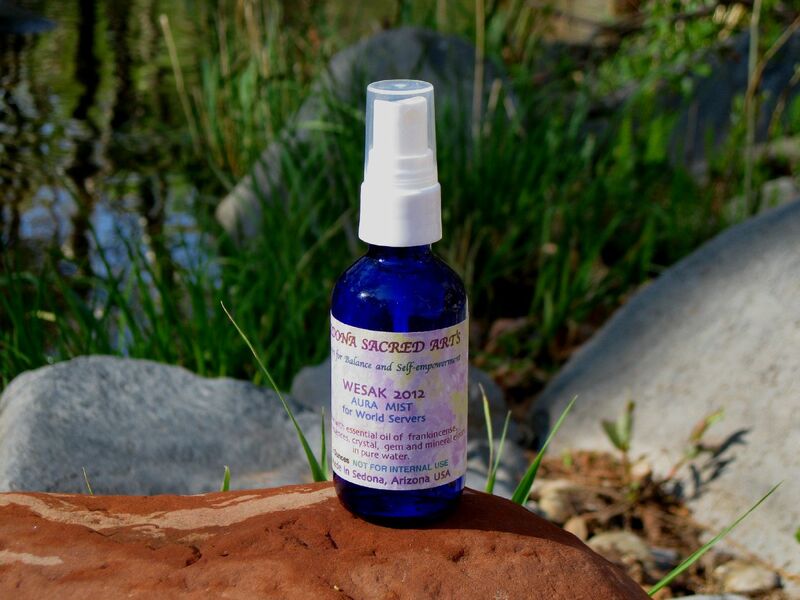 This energetic clearing spray contains Palo Santo oil that has been ecologically gathered, along with crystal, gem and flower essences in pure Sedona Artesian Well water. In pure water with a light amount of sage and cedar essential oil, this mist can be used for clearing any density in any situation you are guided to utilize it. A vibrational auric mist that will assist in not only strengthening your physical energy field, but your emotional, mental and etheric bodies as well. Can be misted lightly around one’s body or in the air and on one’s pillow before sleep. Contains multilevel protection blend elixir with cedar and lavender essential oils in pure water. Imagine a transformation/transmutation so great, it changes one’s very atomic structure. Imagine taking the emotional charge off of past conflicts and trauma. Imagine removing all obstacles to be able to work sincerely from the heart, the Love That I AM, radiating outwards in all directions. With friend and associate-mystical clairvoyant, healer and nature shaman Omorose, we have co-created a vibrational elixir designed to burn away all dross and free one up to take action upon their soul’s mission. 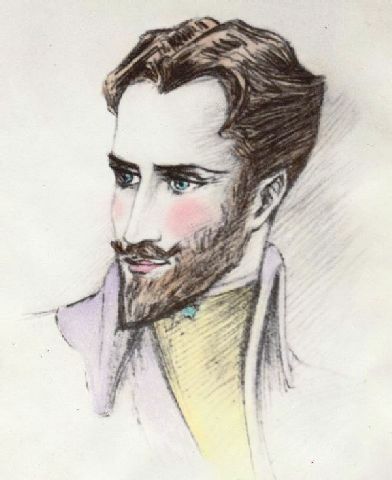 Ascended Master St Germain has played a large part in this process of co-creation. 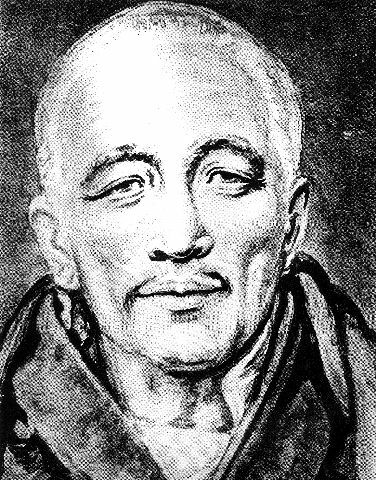 I honor him for his tireless work in supporting the earthbound masters (us) and providing us with the stunning transformational tool that is the Violet Flame. I feel that we have infused this transformational vibration into our elixir, which can be provided to all who require or desire it. It is time for us to walk our path in our own Mastery! 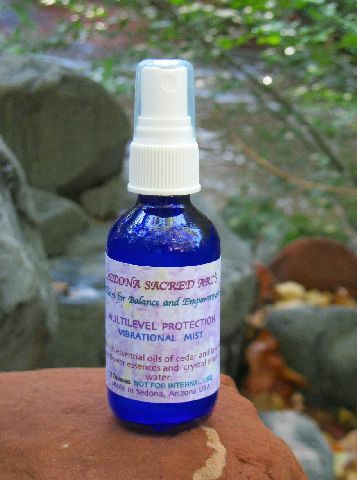 The elixir in this aura spray was created and infused with unconditional love and sacred divine light. It contains selected flower & crystal essences, high vibrational essential oils and the alchemy of St. Germain and the violet flame. The intention infused into each bottle is to quicken the divine alchemy of the violet flame within each individual; assisting in the ascension process ushering in the golden age of heaven on earth. The violet flame is the highest frequency visible in the color spectrum on our planet. Color and vibration have been used since ancient times to heal the body and facilitate balance & harmony within the mind & spirit. It is believed that every ascended being realized the violet flame prior to their ascension. It is also believed by many spiritual adepts that ascension is the ultimate goal of every human being on earth. Note: Although it is past the date of Wesak, Ascended Master DK still recommends this aura spray to assist us on our multi-dimesional journey. As one of the greatest spiritual events on our planet (and beyond! ), the annual celebration of Wesak approaches. The 2012 Wesak allowed us to expand in consciousness and embody our multiversal awareness more fully than ever before. Our capacity to serve the planet and all her Kingdoms is intensifying as well as our abilities as World Servers to merge and have communion with all the members of the Spiritual Hierarchy, the Angelics and other high beings who are devoted to Gaia and the enlightenment of Humanity. This Wesak elixir has been designed to support our spiritual and ethereal forms as the veils thin and our multidimensionality becomes more pronounced than ever before. Crafted as an auric mist with vibrational flower and crystal essences and a small amount of frankincense oil, it will help to clear and strengthen our energy field as we build it up to the Wesak ceremony. I was hoping to get the Palo Santo vibration cleansing spray. I did not see it on the site. Can I still get it? Love the vibrational sprays! Great for Cleansing and regrouping to a better vibration.